The Industrial equipment and machine manufacturing companies manufacture and service a wide variety of mission-critical, high value assets. The equipment typically worth millions of dollars is the backbone of these companies and cannot afford to have any downtime. If this equipment breaks down or malfunctions, productivity drops, costs rise, and reputations suffer; with the potential of significant revenue loss. This makes it crucial for the Industrial equipment and machine manufacturing companies to deliver phenomenal service and ensure 100% availability of the equipment. Traditionally, reactive Field Service Management (FSM) has been the default service organization approach to delivering good customer service. Simply put, this approach involves responding to problems as they arise, and focusing on getting the job done. For field service organizations today, success no longer revolves only around “getting the job done”. These companies need to address any repair issue with speed and effectiveness, hence, adopt a proactive approach. Increasingly, executive management expects the service organization to also generate significant revenue through low cost fulfilment of contracts. FieldEZ’s field service transformation solution harnesses the power of IoT to offer a predictive maintenance solution to organizations, enabling them to delight their customers with minimal outages and downtimes. 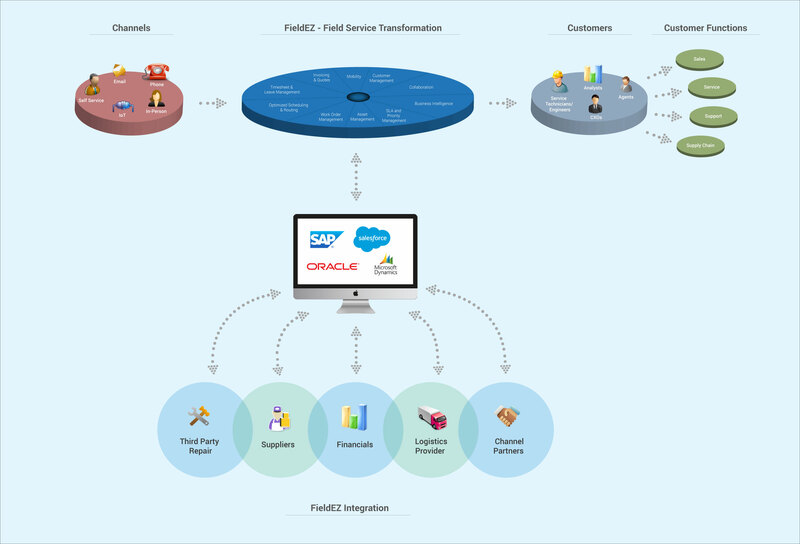 FieldEZ enables remote monitoring and remote service that drive both a reduction in the costs of services and an improvement in the level of service. The huge volume of machine data is processed & analysed and can be used to improve reduce downtime of mission-critical assets, call volume in service center and mean time between failure. 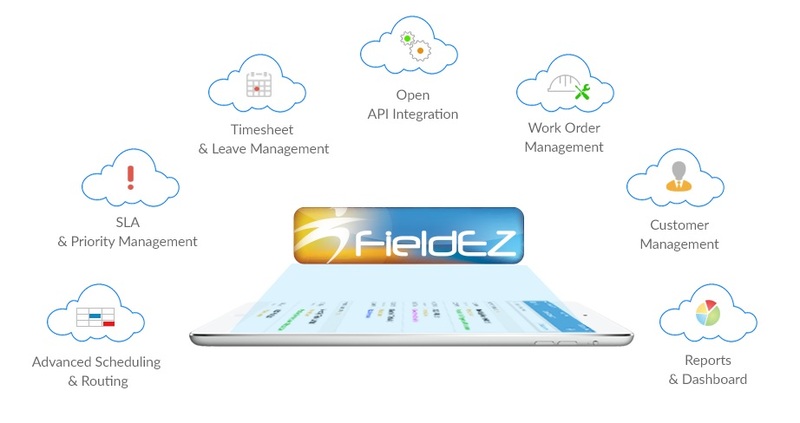 The FieldEZ platform automatically triggers work order based on connected product alerts, diagnose issues and also determines the best service response and dispatch based on customers’ SLAs, technicians qualifications and other resource availability. The platform is also extremely flexible and swift in its deployment giving you the agility for mission critical work across new processes. April 11, 2016 /0 Comments/by FieldEZ Inc.